Canon Masterclass with Barry Donnelan at Whelan Cameras. 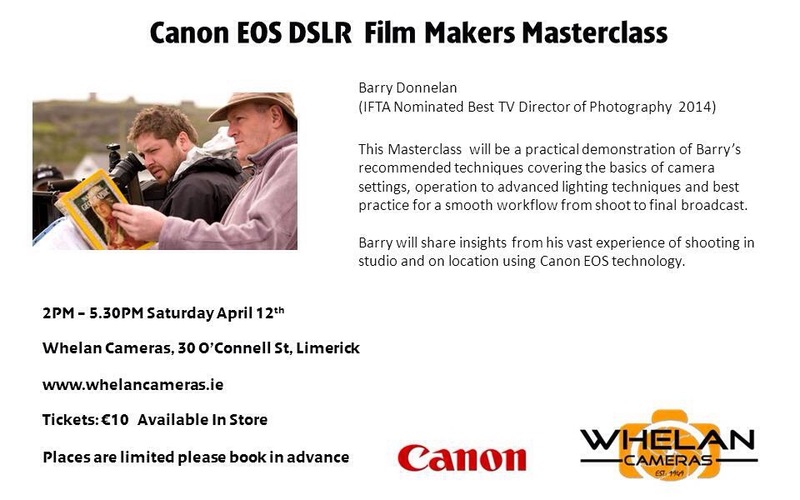 places for the Canon Masterclass at Whelan Cameras on Saturday 12th April at 2pm are going fast. This is a great opportunity to meet professional DSLR camera operator Barry Donnelan and learn about the techniques he uses for filming and photography. To book, contact Whelan Cameras on O’Connell Street, Limerick. Entry is only 10Euro per person.